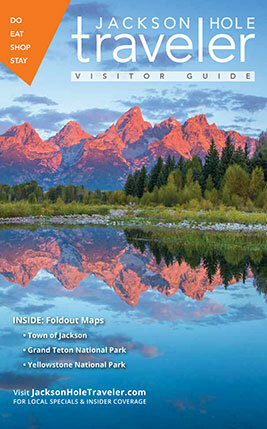 Spring in Jackson Hole may be short but the list of entertaining things to do is long. In fact, Travel + Leisure just named Jackson Hole the No. 1 "Best Place to Travel in May!" Even if the weather here isn’t totally reliable until June you can still make the most of your springtime visit to the Tetons. 7: Music Under the Tram series - Jackson Hole Mountain Resort at 3 p.m.
20: 51st Annual Easter Egg Hunt on Town Square - Costumed characters, including the Easter Bunny, of course, greet children who scramble for colorful eggs on the Square. 20 & 21: Grouse Strut Tour in Grand Teton National Park - Observe sage grouse as they perform their annual courtship dance with this free program offered by park rangers. Participants leave each day from the Craig Thomas Discovery & Visitor Center in Moose at 5:30 a.m. Reservations are required by contacting the park at 307-739-3399. 27 & 28: Grouse Strut Tour in Grand Teton National Park - Observe sage grouse as they perform their annual courtship dance with this free program offered by park rangers. Participants leave each day from the Craig Thomas Discovery & Visitor Center in Moose at 5:30 a.m. Reservations are required by contacting the park at 307-739-3399. 1: Grand Teton National Park opens all roads to vehicle traffic. 4 & 5: Grouse Strut Tour in Grand Teton National Park - Observe sage grouse as they perform their annual courtship dance with this free program offered by park rangers. Participants leave each day from the Craig Thomas Discovery & Visitor Center in Moose at 5:30 a.m. Reservations are required by contacting the park at 307-739-3399. 11: Celebrate World Migratory Bird Day - Join a Grand Teton National Park ranger on a free bird-watching caravan throughout the park to celebrate World Migratory Bird Day. The excursion begins at 8 a.m. from the Craig Thomas Discovery and Visitor Center in Moose and finishes by 4 p.m. at Christian Pond by Jackson Lake Lodge. 25: Jackson Hole Shootout - The longest running shootout in the country; Town Square at 6 p.m.
26: Million Dollar Cowboy Bar Music Fest - Free concert on Town Square, headlined by country band Midland; 4-10 p.m.
26: Sunday Sip and See - Live art demonstrations on Town Square. Wine available for purchase by Jackson Hole Winery; the event is free to attend; 12:30-3:30 p.m.
27: American Legion Memorial Day Service - Town Square flagpole at 10 a.m.
Wildlife is in abundance during the springtime in the Tetons. Animals such as bears are coming out of hibernation—many with their cubs—bison become more active after a winter of hunkering down, large herds of elk and moose begin to march northward from the National Elk Refuge up into the hills, and eagles prowl the skies for signs of rodent or fish life below. Spring also means that it’s time for the ungulates (deer, elk and moose) to begin calving. Take a sunrise or sunset wildlife tour in and around Grand Teton National Park and Bridger-Teton National Forest with trained and knowledgeable naturalists. Try Wolf Den Safaris, Wildlife Expeditions, Eco Tour Adventures, or Jackson Hole Wildlife Safaris. Click here for our story on wildlife spotting in Grand Teton National Park. Spring fly fishing in Jackson Hole is a terrific activity. In April, as the days get warmer but before the snow melts, river fishing is prime, especially on the Snake River. Good fishing is also found during May in the alpine lakes as they stay clear and are largely unaffected by runoff. We highly recommend anglers go with a guide, such as Grand Teton Fly Fishing or Fish the Fly. Fat bikes are all the rage here in Jackson Hole, no matter what the weather. The bike's 4- to 5-inch tires allow for durable traction on and off the beaten path. With the majority of the roads in Grand Teton National Park closed to vehicular traffic until May 1st, bike riding through this gem of a park is especially pleasurable in spring. Rent a bike and take a self-guided tour, or sign up with Teton Mountain Bike Tours for a half or full day fat bike tour with awesome views of the Teton Mountain Range.